Responsive website for doctor's offices - Almut M.
"In the course of our collaboration, we have always been impressed by how quickly you have implemented our ideas and requests. We are more than happy to recommend you." 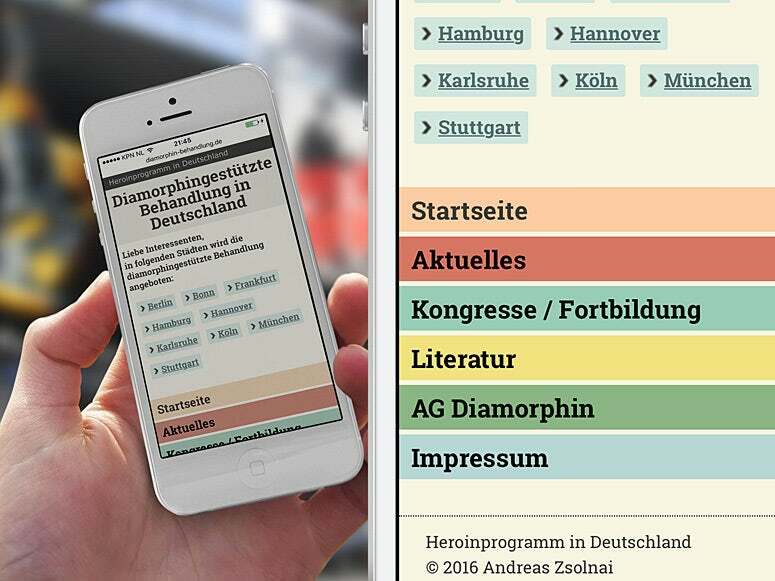 This small responsive website shows an overview over all the doctors' offices in Germany that are responsible for controlled distribution of diamorphin to those who are worst addicted to the drug. The fluid web design is based on percentage values for the columns and stretches elastically to fit all screen sizes.